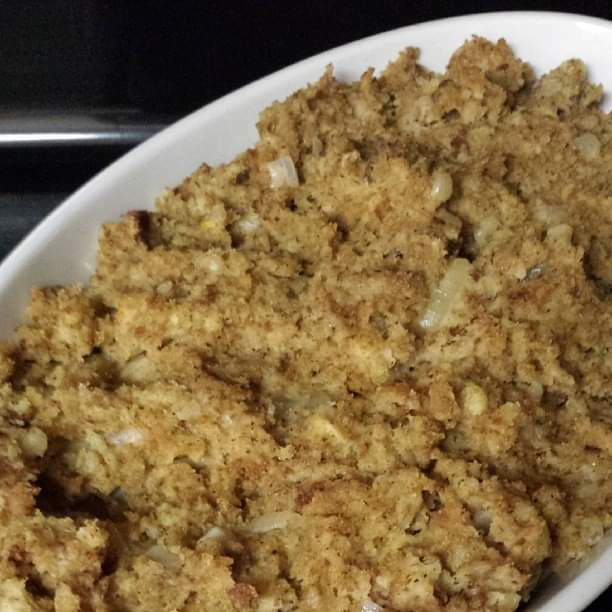 If you are looking for a buttery, rich stuffing recipe that does not contain meat, here you go! I make this every year and it is my absolute favorite stuffing. Stuff your bird? No problem... make this then stuff it! Enjoy meat in your stuffing, no problem there either, fry up sausage and add it to this recipe. Saute celery and onion in 1 stick of butter. Add stuffing and toss lightly.Add remaining 1/2 stick of butter to stuffing and allow it to melt while stirring.